I was at Daytona last year for the Ferrari Finali Mondiali. Some buddies and I had our DSLR’s with us while combing the parking lots looking at the 1200+ Ferrari’s in attendance. 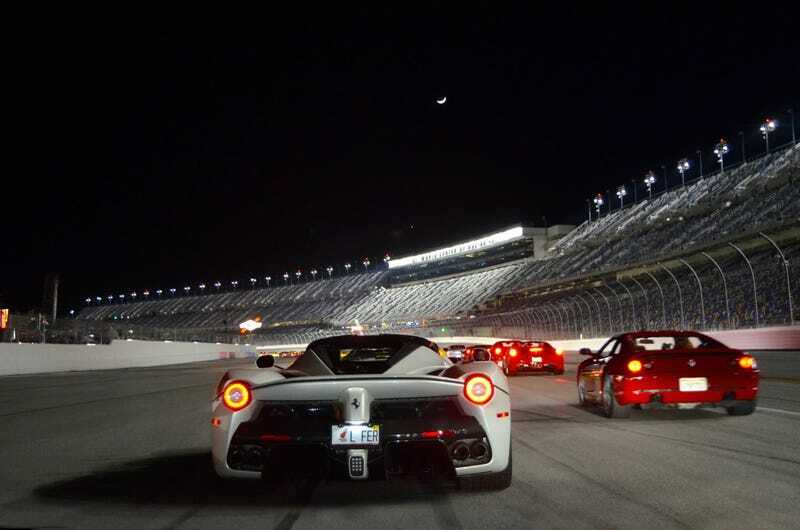 And that’s how I found myself in the cockpit of a 458 Speciale, behind a Bianco Fuji LaFerrari in a billion dollar traffic jamb at Daytona. What's Your Best Story From A Car Meet?